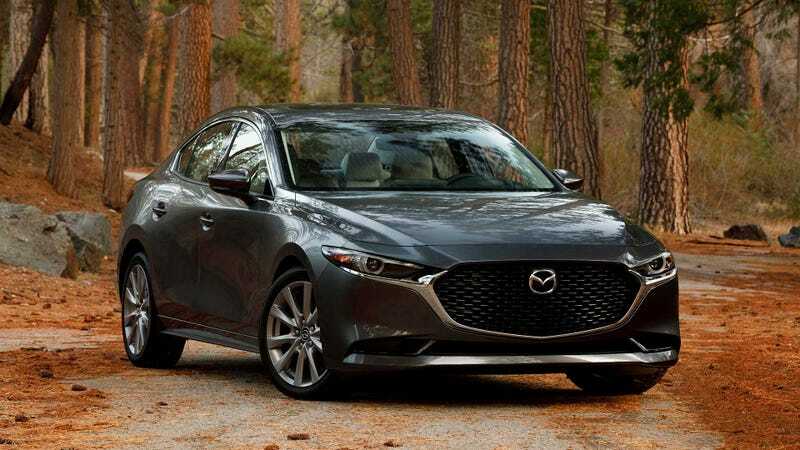 Motortrend says: “Ignoring the carryover powertrain, the 2019 Mazda3 really feels like an evolutionary leap forward from the old model. The old Mazda3's Achilles heel was always its somewhat stiff (albeit sporty) ride, and cabin noise, and it’s immediately apparent after just a few miles of driving the night and day difference between the two cars. The time and money Mazda invested in studying the human body really appears to have paid off. Ride quality is simply exceptional. Even on the harshest potholes and bumps, occupants are completely isolated from the impacts. CNet Roadshow:2019 Mazda3 first drive review: More style, more substance: “For starters, Mazda jettisoned the old 3's sophisticated, multi-link rear suspension and put a simpler, torsion beam setup in its place. On top of that, the 2019 Mazda3 rides on tires that are 18 percent softer than before. You might think both of these would be backward steps in terms of handling, but they’re mitigated by a new, stiffer chassis and body structure. What’s more, the torsion bean uses a new, pinched-center design that makes it a lot stronger, and helps to return a 75-percent overall improvement in lateral stiffness. Looks like US publications got the FWD automatic sedan, and non-US ones got the FWD mnaual hatch ( Australian reviews linked were very positive). No AWD models tested yet. My take: Given the visibility and space constraints of the hatch despite looking much better, the sedan is a better buy for space, same performance and features and it is cheaper trim vs. trim. I would take the sedan in mid to high level trim Automatic AWD as a daily driver over an Impreza or Civic or Corolla any day. Actually, if they offer the AWD on the Mazda6 2.5 Turbo I will be 100% sold but I digress. However, Oppo or any other automotive forum is not fully representative of the general public, so there might be some who don’t mind the blindspots and go for the hatch for the style factor so let’s see how many takers go for it over the competition.